Professional spiritual healer and former Methodist minister Walter Weston was frustrated by the lack of therapies effectively dealing with emotional pain. 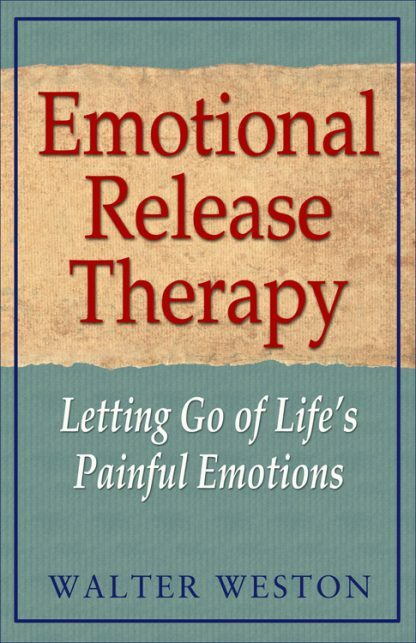 Then he developed Emotional Release Therapy (ERT), a simple technique that permanently removes painful and traumatic memories along with self-destructive emotional states like depression, grief, fear, and anger. Because emotional pain is often the root cause of many physical diseases, ERT can likewise alleviate painful conditions and speed recovery from disease. A blending of energy and faith healing, ERT heals by helping us re-access our lost connection to God. Since developing the therapy, Weston has taught thousands of people around the world to practice ERT on themselves and others. ERT is so effective you can also use it to treat animals. Walter Weston is an author, seminar leader, healer, psychotherapist and wellness counselor. He began a second career in holistic health care, focusing upon spiritual healing in 1989. In 1994, his first book, PrayWell: A Holistic Guide To Health and Renewal was self-published. It is a footnoted, well-indexed, scientific encyclopedia on the scientific and rational understanding of healing. He also discovered Emotional Release Therapy that offers dramatic healing of painful memories and destructive emotional states. He also developed the first scientific energy model for disease and spiritual healing and has taught more than 3,000 people in the United States, Canada, India, and South Africa. He is the author of How Prayer Heals, a Practical Guide; Healing Yourself, a Practical Guide; and How Prayer Heals, a Scientific Approach. He can be contacted at wweston@neo.rr.com.